Is there a way to check whether the table is locked or not? If I leave the house I want to set it to “locked”. If the tablet is offiine at this time, it won’t get through. I really like your HPV, but I am struggling with Motion detection (among some other things ;-). If I check the status in HPV, I can see that the camera is deactivated (i don’t know why). Motion detection is active, though. If I enable the CameraView to be shown, I can see the camera picture and the Motion detection working obviously properly. So, why is HPV reporting camera is deactivated and how to change this? (I tried both with and without lollypop camera API). Actually HPV reports correctly the Motion state, but it did not wakeup the screen. My assumption was, that Motion directly activates the screen. But that’s not the case, right? I’ve just installed the HABPanelViewer on an Android desk phone (GXV3370, Android 7.0). It works as expected in general. Do you have some option to switch to some other font color? Or could you set the font color and the background color to avoid it? Or any other hint how to circumvent these cases? This looks really weird, it is supposed to have white font on black background. Can you try if this apk looks better? Not sure, if this caused by the vendors Android customization. Since there is no option to change a color theme in the phone’s Android settings etc. I’d aprecciate having a configuration option in the HABpanelviewer app to force contrasting backgrounds. What do you think? It is not caused by me. I have no color definitions anywhere in the apk you just installed, I only set the dark theme. It looks like your device has some color overrides that do not work properly. I have updated the apk so that the app uses the light theme. Can you re-download and test? If this works I can add a theme chooser to the app. Thanks a lot Volker, that did the trick! Btw: Beside the yet revealed color definition issue, it’s seems to be a good HABpanel device. I have just released a new version in github. As usual, it will take a few days for fdroid to pick up and build the new version. @miker will hopefully update the version available on the play store as soon as he has the time. I will try to have the play store updated before Monday. Thanks a lot @vbier, @miker! This will solve the contrast issues I had with the app. Really apprecciate the ultra fast fix/addon. 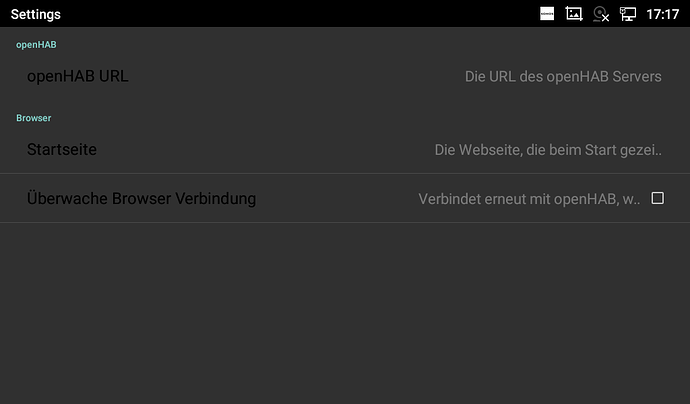 I just saw that fdroid fails to build the new release due to a missing translation. I will have to investigate why I do not get the error when building and fix the problem. People that have downloaded and installed the apk should be fine as is. I will do a new release in the upcoming days. i have a some problem on app startup. 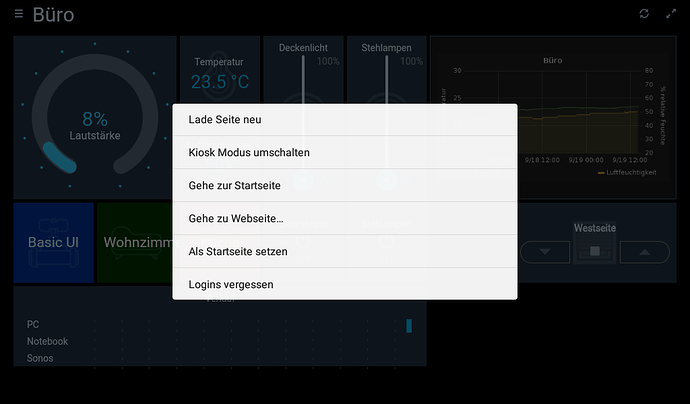 Then app is start/restart/start on tablet startup, i always got a error of UI. “Unfortunately, System UI has stopped”. 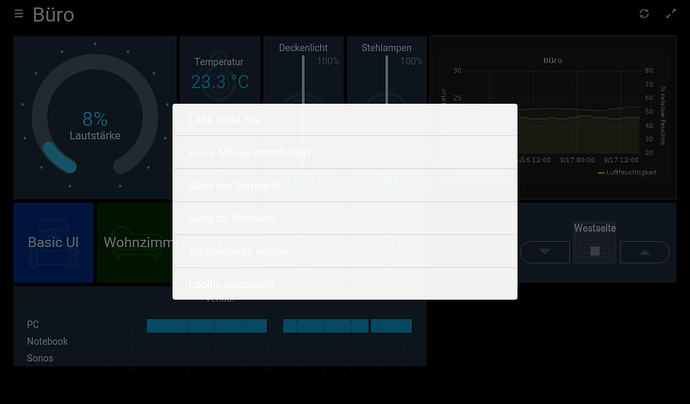 Then press “ok” button, screen doing vertical rotate, then horizantal rotate and then habpannelviewer work fine. What is this? i had do a reset to default for tablet, but it not help. What i’m doing wrong? Guys this app has started to fail to store my credentials for logging in, any reason why? It logs into Openhab cloud and then displays my panels. anyone getting the “screen state” (contact item) report function to work? I’ve set it in the app but no update/change is ever sent to the contact item. @fta, I would need an adb log in order to find out what the problem is. Can you install the new version without setting it as home screen app? It should not restart when not set as home screen app. @lfs_alp5, it works for me. send me an adb log if you want me to look at it. @dastrix80, I do not understand what you are trying to say. If it does not store your credentials, than how does it log in to openHAB cloud? And what does that have to do with panels being shown? Given Ive no idea where to look im hoping you have some ideas. Does the openHAB cloud instance use a login form on a web page or do you enter the credentials in the HPV login dialog? HPV can only store logins that are entered in its own login dialog. I can get that uploaded to Play Store today as well. Warning: Users that have the APK with version code 6 may need to accept the android.permission.WRITE_EXTERNAL_STORAGE permission, which may result in them not upgrading to this version of the app.